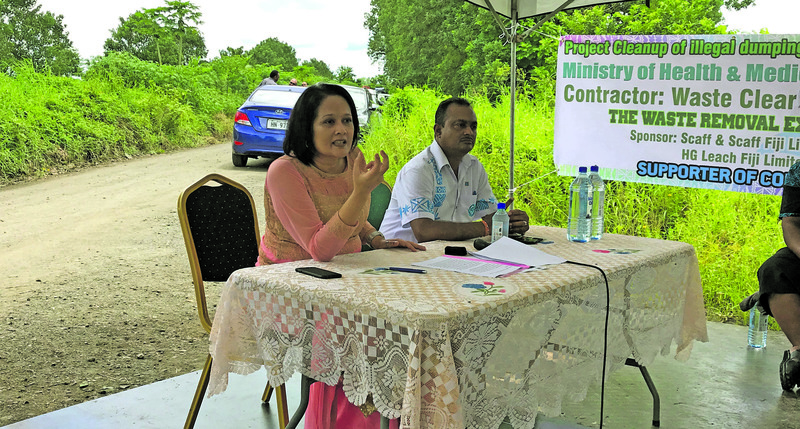 Waituri, a 10-minute drive away from Nausori Town, is not a dumping ground for rubbish, says Minister for Health and Medical Services Rosy Akbar. Braving the hot, humid weather and stench from the dump site, Ms Akbar detoured from her scheduled route to have a closer glimpse of what is probably the biggest eyesore in the area. She was present in the area to meet residents who, through repeated Fiji Sun reports, are irate over indiscriminate dumping. Ms Akbar said the communities needed to be champions who could closely monitor their surrounding areas and report against the offenders. “Illegal rubbish dumps are an environmental problem which look and smell bad and it is not healthy for our communities,’’ Ms Akbar. “Be aware of your responsibilities and report on those that do not obey the law. She said there were cases of poisonous waste, commercial and household waste disposed directly onto the road sides, farming areas, hidden spots, river banks and in public areas. “Many times the illegal rubbish dumping are done at odd hours, at night and even done purposely in broad day light without being caught,’’ Ms Akbar said. “These rubbish provide a breeding ground for mosquitoes which spread dengue, Zika and Chikungunina. “If we continue to provide these breeding grounds for mosquitoes, there are huge economical costs to you and our country. “We all have to work together and stop illegal rubbish dumping by community policing and reporting the incidents,” Ms Akbar said. The residents have mounted a programme called Waituri Illegal Dump Site Clean-up Operation to draw more attention to the problem, which residents said had gotten out of hand. Ms Akbar said the removal of the rubbish in Waituri alone had cost her ministry approximately $21,500. The minister said the value for national annual clean-up campaigns cost approximately $450,000. The illegal rubbish dump site, which is on a private property, had been used as a dumping ground for all sorts of rubbish for the last 20 years. Some of the rubbish found in the piles alongside the Waituri Road comprised household and kitchen rubbish, industrial rubbish and discarded white goods, like fridges, freezers and ovens. 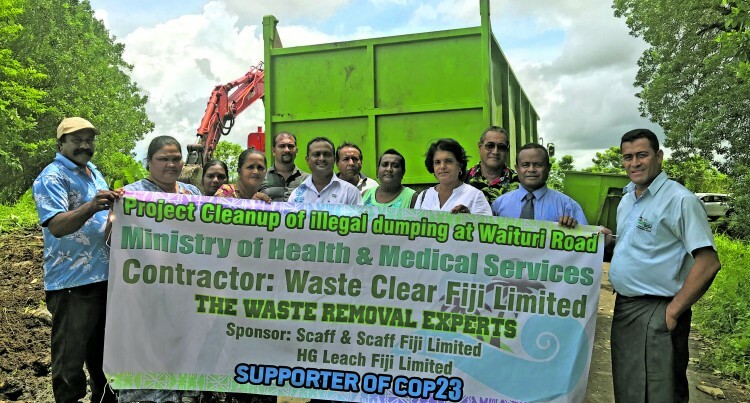 Local company Water Clear Fiji has been contracted by the ministry to clear the site of illegally dumped rubbish in Waituri. Ms Akbar said there were similar illegal dump sites all over the country. The ministry was trying its best to remove it with existing resources available which could have been utilised in other areas of development.